How much will an apartment within walking distance to a subway station cost you in São Paulo? What about a home overlooking a park in Buenos Aires? Those are the kinds of questions Argentina-based Properati, a digital platform for real estate listings, is answering by teaming up with news organizations in Brazil, Chile, Mexico and Argentina. 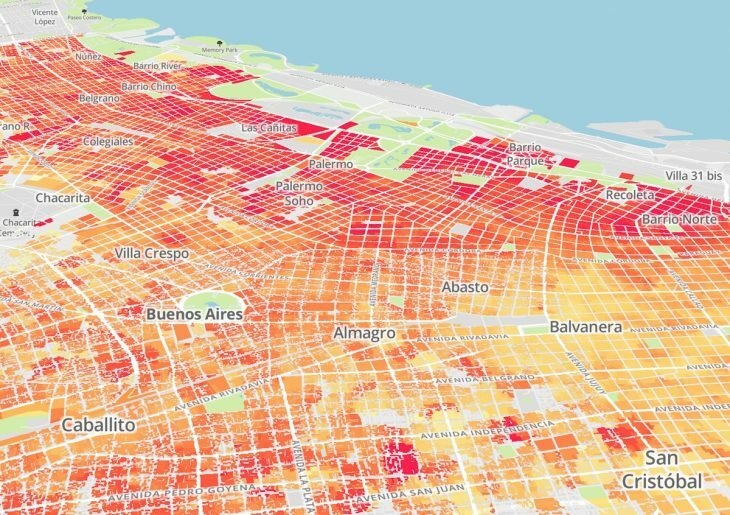 In Properati, news organizations from Argentina’s El Clarín to Chile’s T13 to Mexico’s El Economista have found intriguing datasets and analysts who can run custom studies on questions about public transportation and real estate. And in a region where open data is scarce and newsrooms are short on data analysts, Properati has found a clever way to market its platform. “Generating quality content to disseminate in the press is a key piece of our communication strategy,” says Nicolás Grossman, head of content and press relations at Properati. “The open-source culture is in Properati’s DNA, that’s why we collaborate whenever possible with open data communities in each country.” By merging and analyzing urban and economic datasets Properati has been collecting and open-sourcing, says Grossman, the company can help supply answers to questions that few organizations have the data or technical know-how to answer. With almost 2 million properties listed in Argentina, Brazil and Mexico and more than 3 million users in 7 Latin American countries, Properati is privy to loads of real estate data on which it runs market analyses constantly. 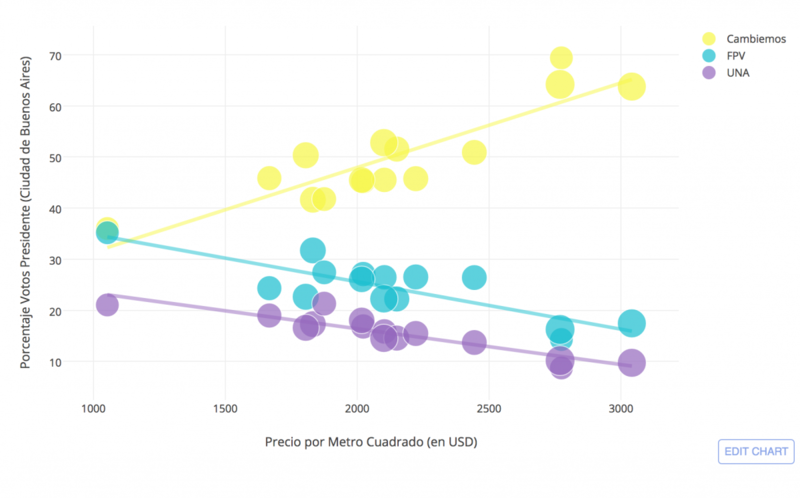 A Properati analysis of public transportation options in Mexico City was published last September on CityLab Latino. For an article on Argentina’s 2015 presidential election, Properati was contacted by Clarín editor Darío D’Atri, who asked for an exclusive analysis of how Argentines had voted according to property value on October 25, the first round of an election that eventually saw Mauricio Macri’s “Cambiemos” party defeat Daniel Scioli’s FPV party. Among other findings, Properati’s analysis showed that, defying expectations, Macri enjoyed “enormous penetration” in low-income districts. 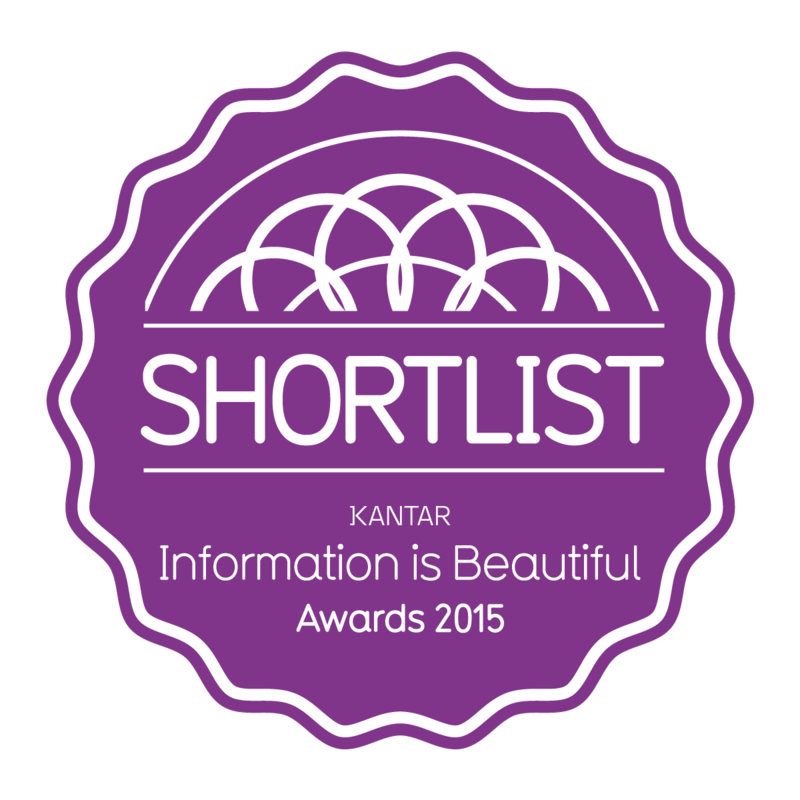 D’Atri, in the article’s accompanying text, explained how data could shed light on conventional wisdom. “This rupture of the most classic rule correlating the value of properties with a vote for FPV or for Macrismo obviously has political, economic and social reasons, but applying external theoretical data, such as property value, allows for a novel look at and other explanations for the “surprise” of Sunday, October 25,” wrote D’Atri. One of the Plot.ly graphics built by Properati for Clarín. 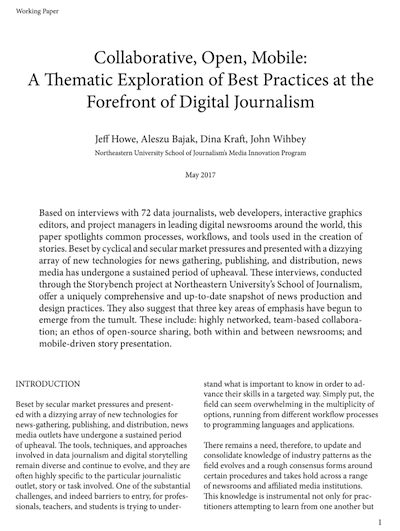 That willingness to let Properati do the data sourcing, analysis and visualization holds constant across many of the newsrooms the company collaborates with, says Grossman. Why the journalists don’t want to – or can’t – do the work, Grossman isn’t exactly sure. But he has some guesses. 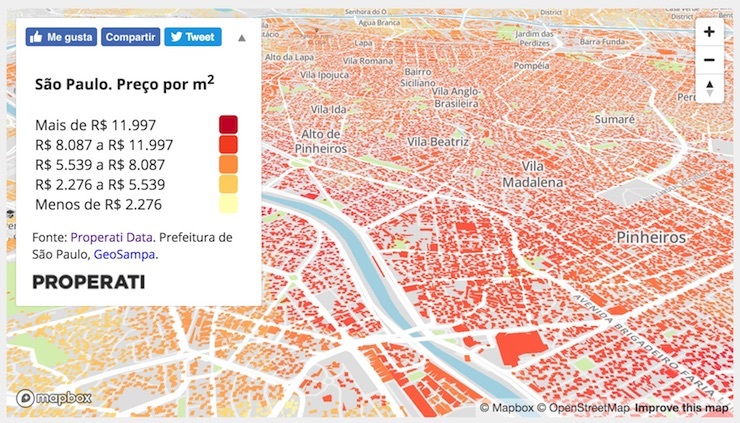 Properati has built 3D maps of real estate prices for São Paulo and Buenos Aires. Storybench asked Properati to write us a 3D mapping tutorial which can be read here. What Properati is doing for journalists isn’t exactly novel. Real estate companies like Zillow and Trulia have teamed up with news organizations to provide analysis and even help with creating stories. Relying on outside experts to look over, comment on, or analyze data is, of course, common practice in journalism. But leaning on a single company to source, analyze and visualize the story for the news organization gets into hairy ethical territory. There’s a fine line here between giving the source limited airtime and handing over the microphone completely. 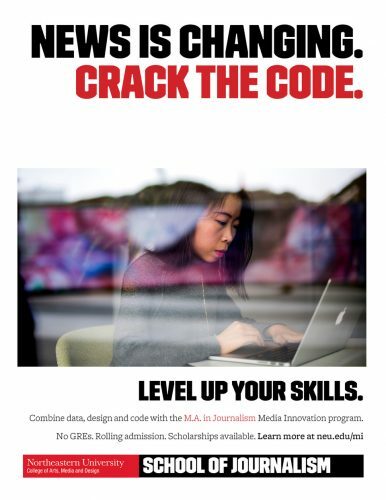 On the other hand, facing staff cuts and increased pressure to publish, one can understand how news outlets find these partnerships so alluring. But a word to the wise – learn the tools yourself. There won’t always be a Properati out there willing to help out your newsroom for free.